As you may know, one of Google.org's core missions is to address climate change. In the U.S., transportation contributes about one-third of all greenhouse gas emissions –- with more than 60 percent of those emissions coming from personal vehicles. 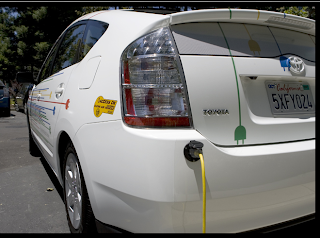 By accelerating the adoption of plug-in hybrids and vehicle-to-grid ("V2G") technologies, this new project, RechargeIT.org, aims to reduce emissions and dependence on oil while promoting clean energy technologies and increasing consumer choice. Linking the U.S. transportation system to the electricity grid maximizes the efficiency of our energy system. From these efforts, we believe the environment will benefit -- and consumers will have more choices to fuel their cars. Since most Americans drive less than 35 miles per day, you easily could drive mostly on electricity with the gas tank as a "safety net." Our goal is to demonstrate the plug-in hybrid and V2G technology, get people excited about having their own plug-in hybrid, and encourage car companies to start building them soon. 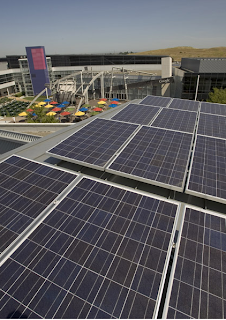 As for Google Inc., today the solar panel installation we announced last October is now producing clean, renewable electricity for our Mountain View, CA headquarters. The system will offset peak electricity consumption at the solar powered offices and the newly constructed solar carports have charging stations for the plug-in hybrids. At 1.6 megawatts -- with an electricity output capable of powering approximately 1,000 average California homes -- the Google project is the largest solar installation on any corporate campus in the U.S. to date, and one of the largest on any corporate site in the world. To see how much electricity these panels are producing right now, visit our new performance monitoring site. To learn more about the initiative, we encourage you to explore the rest of RechargeIT.org. And to see what others are saying about plug-in hybrids and V2G technology, be sure to watch this video.